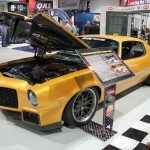 Building a custom car is an exciting project because it gives the owner a chance to personalize it with their own style. The choice of color, wheels, and any performance modifications will reflect the personality of the owner – and no two owners seem to share the same tastes. 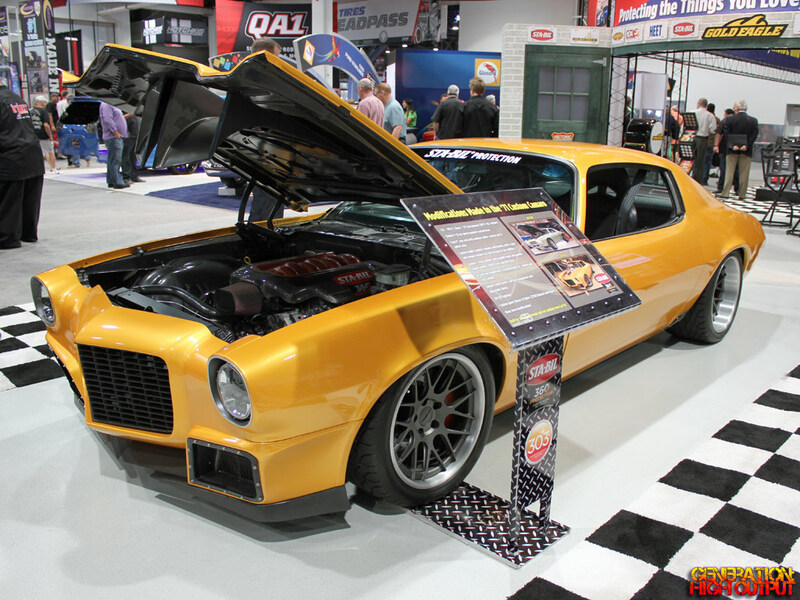 That’s why I found it odd that STA-BIL 360 had this custom 1971 Chevrolet Camaro as a grand prize in their booth at SEMA 2014. 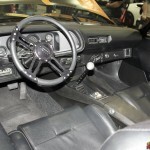 The car was built by Jared Zimmerman and Lou Santiago from the TV show Car Fix on the Velocity Network. Working 12 hours a day for almost five months, these guys transformed a 1971 Camaro into a powerful custom street machine. The value of the car has been appraised at $98,000 dollars. Contestants entered to win the car by visiting the STA-BIL website and submitting an online entry form. The grand prize drawing was held October 10, 2014 and the car was presented to the winner at the 2014 SEMA Show in Las Vegas. The grand prize went to Douglas Barton. Mr. Barton is now the owner of this incredible car, which I have to say is one of the better second-gen Camaros I have ever seen. These cars never appealed to me the same way as the third-gen Camaro, but something about this one really does it for me. 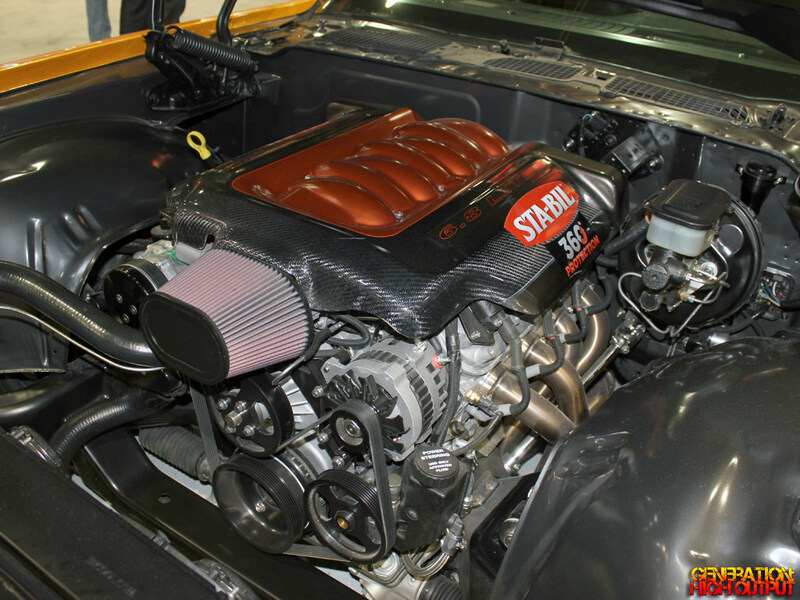 Under the hood is a powerful LS3 V8 engine mated to a Tremec T-56 six-speed manual gearbox. 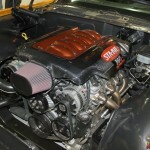 It has custom headers and a stainless exhaust, and puts the power down through a Ford 9″ rear end. Large 18″ wheels provide superior grip and handling. While the mechanicals are impressive, it was the body work that really won me over. I love the shaved drip rails and the angles where the side windows line up with the rear window. The House of Kolor Radiant Gold Pearl paint really pops and the black insert on the taillight panel is the perfect complement. From tip to tail, this is one sweet ride. Look for coverage of the build to air on Velocity as a four-part series. 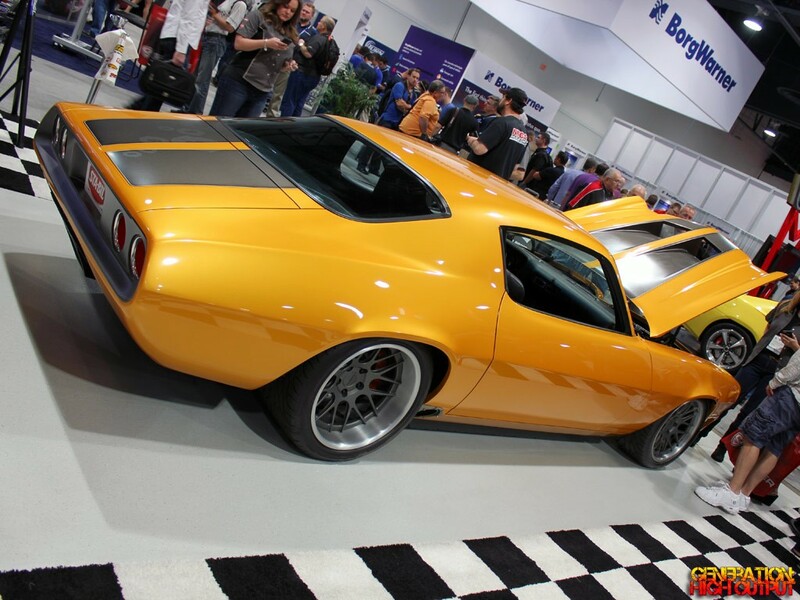 This entry was posted in SEMA and tagged 1970's, camaro, carfix, Chevrolet, engine swap, muscle car, pro touring, Restomod, SEMA 2014, stabil, velocity by Trevor Freeman. Bookmark the permalink.